A captured tank on display at the Vietnam Military History Museum. 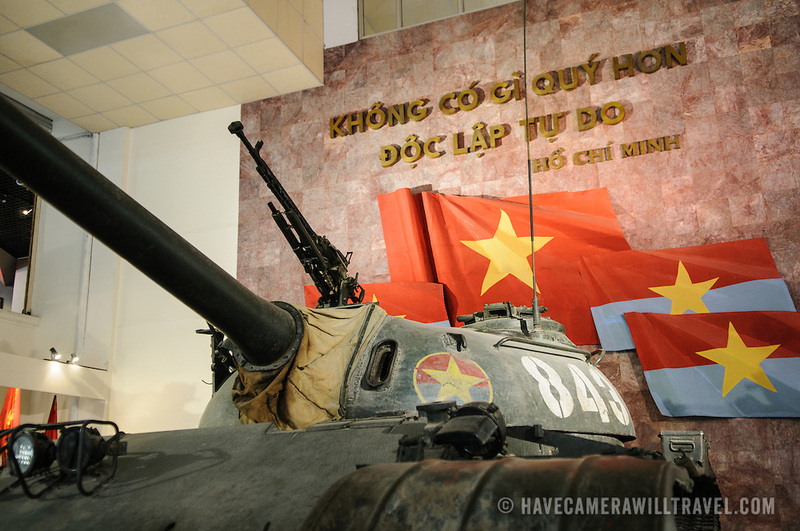 The museum was opened on July 17, 1956, two years after the victory over the French at Dien Bien Phu. It is also known as the Army Museum (the Vietnamese had little in the way of naval or air forces at the time) and is located in central Hanoi in the Ba Dinh District near the Lenin Monument in Lenin Park and not far from the Ho Chi Minh Mausoleum.